2060. YOUR SISTER WAS LEADING RESEARCHES FOR A SECRET LAB, BUT SHE HAS DISAPPEARED. "In 2057, a Terran astronaut came back from a mission on an alien spaceship. He could never prove that his story was true, but he had brought back a fragment from a Black Cube never seen before, and emitting strange radiations. The Terran space center (CSE) classified this discovery as top secret. After this event, several people were gathered by a government agency, and placed on a ship bound for Terra's neighboring planet, Mapk, and more specifically for its blue moon: Ytria. They were all working for the Lucium laboratory, and their researches were leaded by your sister, a brilliant scientist. A lot of money was invested in this project. However one year later, you have lost contact with her. 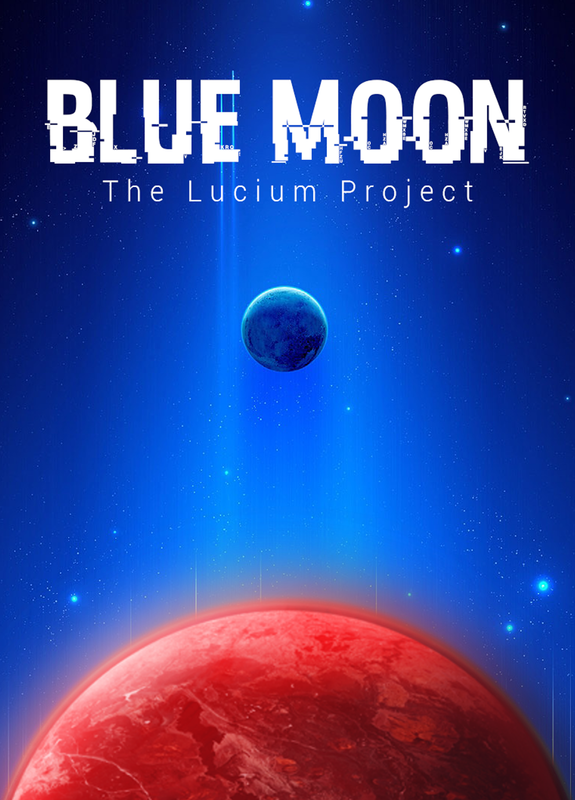 It would seem that she and the others have never existed, so you decide to conduct your own investigation..."
Blue Moon: The Lucium Project is a project of "short" adventure/exploration game. It was born from the friendship of two Icehouse Members, Simon Mesnard and Juanjo Barcelo Molina. They had the idea before the Black Cube Jam 2016, but it could only become a reality several months later. Juanjo is a skilled user of the Unity game engine: he worked on various projects on his own, and with Luminy Studios. He suggested this cooperative project to Simon, who eagerly accepted to write a scenario. Blue Moon is one of the first games developed in Full 3D in the Black Cube series (the other one being RealMYHA). It is only possible thanks to the experience of Juanjo Barcelo Molina with the Unity engine. Even if the project is supervised by the author of the Black Cube series (for a matter of consistency), it is being developed entirely by Juanjo. You'll soon be given the opportunity to make your own opinion about it with a playable demo! The soundtrack of Blue Moon will be composed by Python Blue. In the meantime, please enjoy the ASA Alternate Soundtrack from the same artist! You can listen to all previous albums of Python Blue on his Bandcamp page.